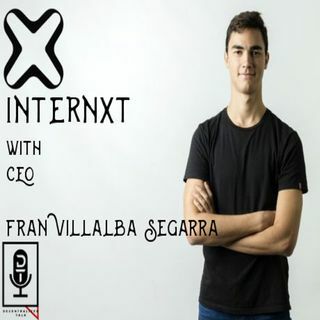 This week we have a special interview with the CEO of Internxt, Fran Villalba Segarra. They have a huge announcement that they wanted to drop on Decentralized Talk. Trust us, its yuuugggee. So, what is Internxt? Well, they are attempting to be a decentralized platform and for the time being, their focus is on making cloud storage more decentralized, more secure, and more affordable. Their two products currently are XCloud and XCore. Both products were recently pushed out in beta stage, and ... See More are an actual working product (something that is actually rare in the crypto space). XCloud is cloud storage platform, much like Google Drive, DropBox, or iCloud with a decentralized twist. But DTalk, that sounds like Sia or Storj! We know, that’s what you’re thinking. Okay, you may be saying “ugh, I’m hungry, but I feel bloated. What do I do?” Well, regardless of what you’re thinking, we will explain. Well, one thing that sets them apart from their competition is that XCloud is simply one aspect of Internxt. At its core, Internxt is an innovation platform. XCloud is a secure cloud that charges a monthly fee lower than any mainstream cloud storage services out today. XCloud takes the information uploaded to the cloud, encrypts it, breaks it up and duplicates it, to make sure that there is no loss of data incase one machine in the network goes down. Because of this “breaking and duplicating”, XCloud ensures users that their information remains anonymous and secure. But wait, there’s more! XCore takes the cloud storage idea even further by giving other’s ability to share storage for profit. XCore lets people take their left-over hard drive space and rent it out to user’s that need cloud storage space. Again, because it’s decentralized, it’s secure and encrypted. So, in theory, you can use your hard drive to rent out space, and use that profit to pay for cloud storage through XCloud for free. A few years ago, cloud storage was a hot word. Everyone was trying to integrate cloud storage into their business and how to make it cheaper, faster, and more efficient. Well, now we are in a new era for cloud storage. An era that takes out the middle man, keeps your information out of the hands of large corporations, and secures it all at the same time. Cloud storage and decentralization is a match made in Heaven. Internxt is on a bold mission to become one of the first movers in this new decentralized era. They are well on their way to having many successful products and their CEO Fran Villalba Segarra is showing that leadership and drive can help any business from make large changes in the world. Make sure to subscribe on any streaming platform you use to listen to podcasts. Throw us a like if you like learning the knowledge we are spittin’ out. The blockchain space needs are much people learning as we can get, so tune in every week and we will keep you in the know. Reach out to us on social media, or send us a comment on our website Decentralized Talk if you have a request for the show or a question. We always love hearing from our listeners!